Most people believe that an illegal search and seizure is restricted to the search of a person’s home, car, or personal belongings. The law, however, defines a search as any intrusion on a person’s privacy. Not all searches are illegal even if they do infringe on a person’s constitutional right under the Fourth and Fourteenth Amendments as well as the applicable section of a state constitution (Pennsylvania Article 1, Section 8). While most don’t know it, drug testing is a search. 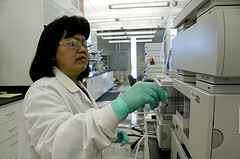 This type of testing can include the analysis of a person’s blood, breath, or urine. Drug testing is obviously an infringement upon a person’s privacy rights but this type of infringement is permissible where police can establish probable cause to obtain a warrant. A search warrant, however, is not needed where the law permits an exception to the warrant requirement such as a DUI arrest. Testing for DUI is a form of a drug test and we can use the same analysis for it along with any other situation where police have probable cause to believe a person’s intoxication caused them to commit a crime. The legal theory behind exceptions to the search warrant requirement is that the government’s need to protect the public outweighs an individual’s interest. Further, if police are required to obtain a warrant for each and every drug test it would frustrate the government’s ability to keep the public safe. While exceptions to a search warrant still require police to establish reasonable suspicion and probable cause there are situations where the government can conduct a search without any type of reasonable suspicion or probable cause. Court, at all levels, have stated on numerous occasions that testing without any type of suspicion is permissible in limited situations such as testing workers in safety sensitive industries following an accident or drug testing as a part of an employment application. In these situations while an administrative governmental agency and not a law enforcement agency are conducting the test for the purposes of a specific job it is still considered a search. These are administrative searches but they pertain to industries where safety is a primary concern. The government has a compelling interest in making sure that certain environments are drug free and that the employees that are working in these places are physically and mentally fit for their jobs. These workers privacy interests are outweighed by the government’s interest in public safety. See Skinner v. Rail Way Labor Executives, 49U.S. 602 (1989). Workers who are employed in industries such as health care, transportation and even the military have a diminished expectation of privacy according to the courts because they work in industries which directly affect the public’s safety. In closing, drug testing are searches under the Constitution but you more than likely have diminished expectation of privacy in these situations. If you aren’t sure, it’s important to speak to knowledgeable criminal defense attorney. Call our office with questions, we are here for you.